Link to magazine contents: http://arhitectura-1906.ro/2015/04/a-aparut-arhitectura-nr-12015/. 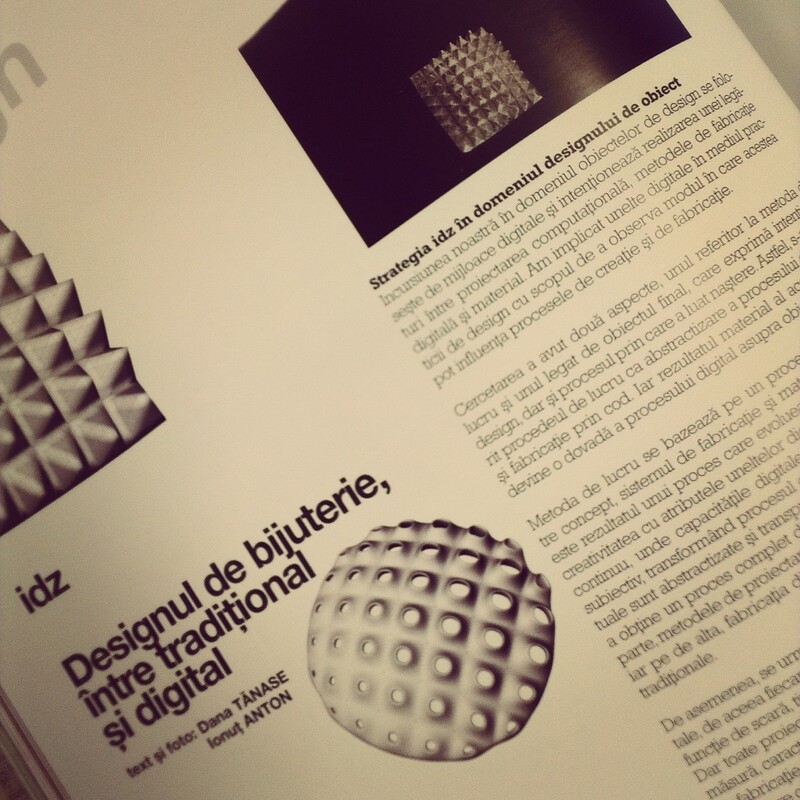 The article explores the relationship between jewelery craft and digital design and fabrication tools. We present a worksflow for deriving parametric models and then fabricating then via 3dprinting. The 3d printed object is then used as a mold for preciuos metal casting. The result is an object informed by the parametric modelling and bears all the marks of the fabrication process, enhancing its value.